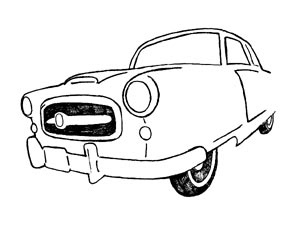 Car songs abound in American history but few have achieved the cult status of this bubble-gum balled about the race between a Cadillac and a little Nash Rambler. The Playmates' Beep, Beep, released on Roulette Records, entered the Billboard charts top 40 on June 9, 1958, made it to number 4, and stayed in the top 40 for 12 weeks. Play it on a jukebox today and you are almost sure to get an instant sing-along.